These three items are utilized to praise and respect the written word in the Scriptures, the Guru Granth Sahib ji. Mandap: The Mandap utilized at a Sikh Wedding is a 4 poster structure that is set up to place the Sikh Scriptures in during the Sikh Wedding Ceremony, Anand Karaj. The sacred writings are put inside this structure and a Chandoa (fabric that is hung inside) is used to cover the top of the Mandap. At times where there is no Mandap or Palki accessible, the Chandoa is hung from the roof or posts. It is to be hung over the Guru Granth Sahib ji out of a sign of respect and reverence for the writings in the scriptures. 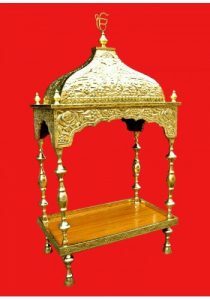 The Palki is rarely utilized at Destination Sikh Weddings yet is a typical apparatus at customary Sikh weddings. Chandoa: The Chandoa, or fabric, is hung above the Guru Granth Sahib. This cloth is used as a canopy and is hung and connected at the top four corners inside the Mandap. Below is a picture of a mandap and Palki inside it at a destination Sikh Wedding. If you are having a Destination Sikh Wedding or Anand Karaj, please contact [email protected] Dr. Singh and Leela are experts at conducting a Sikh Anand Karaj with respect and reverence in any part of the world. If you are considering to have a destination Anand Karaj or Sikh Destination Wedding you may want consider, and we firmly recommend, this wonderful Gazebo sitting beside the Caribbean Sea near the blue water. Outdoor Sikh weddings and functions under a secured covered gazebo shield you, the wedding couple, officiants, and guests from the sun and potential rain. You are protected from the harsh elements yet are still amidst nature. This Gazebo can hold roughly 100 – 150 participants sitting on the floor and there is space to sit along the edge of the periphery of the gazebo. There is another Gazebo close to this Arpa Terraza gazebo which is perfect for the other Sikh ceremonies. As a Sikh Wedding Officiant, only once in a while do you get an opportunity to sit with a Sikh Bride and have a casual simple discussion about the Anand Karaj occasion prepared to unfold. Most Indian ladies or Sikh Brides are greatly pushed and are covered by relatives and Indian picture takers now of the timetable. As should be obvious in this video underneath, Sonia, a Sikh Bride from Toronto, Canada who was having her Destination Sikh wedding at Barcelo, Riviera Maya, you see a Punjabi lady that is calm and definitely anticipating the delight to unfold on her extraordinary wedding day. 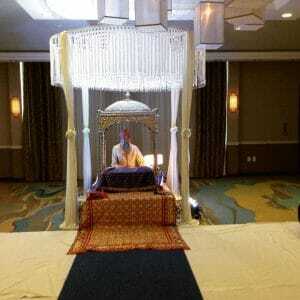 Searching for a choice Sikh Destination Wedding location in Toronto, Canada? Over the previous summer, Dr. Freedom and Leela were honored to direct a Sikh Anand Karaj at the Four Season Toronto downtown. The Sikh Wedding was respectfully conducted outside the gurdwaras. The professional staff was a pleasure to work with and they gave flawless attention to detail. The food, precision, the conveyance of style and setup was astounding. The couple picked a basic moderate simple style and the mindful and enthusiastic participants compensated for this. Toronto has a huge Punjabi Sikh populace and Gurdwaras can be overbooked for a considerable length of time so this is a definite option. 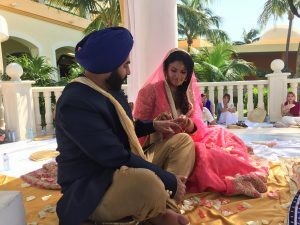 Going with more than 75 – 200 visitors, relatives, and companions for a Sikh Wedding to Mexico can be an overwhelming idea if this is your first excursion to Riviera Maya Mexico. 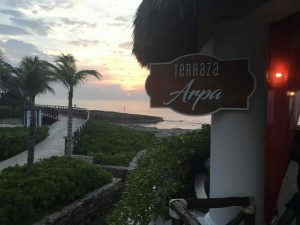 Interview with Joseline Ramos LATIN ASIA planning & logistics expert, Latin Asia Wedding Decor setup for Sikh Destination Wedding, Barcelo, Riviera Maya, Mexico. This is an ideal location to celebrate your Anand Karaj. Don’t let any imaginary stories deter you from having your dream Sikh Destination Wedding in Riviera Maya, Mexico. Here are some pros and cons of the Hard Rock location. 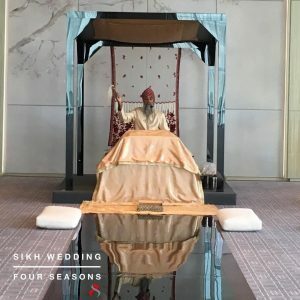 This duo have been conducting Sikh Weddings at Hard Rock Resort in Punta Cana, the Dominican Republic for the past few years. The beach and resort property is remarkable and the wedding staff is well versed in conducting Sikh Destination Weddings. The resort works with a local Indian restaurant vendor in Punta Cana catering traditional Indian food for your wedding events. There are also several wedding gazebos to have your wedding and the resort has two decor vendors that can assist you with the decor setup. Hard Rock Isla Gazebo for a smaller more quaint Sikh Wedding.